Building the Future of Historic Preservation: Teaching a Course on Building Preservation Plans | Hennebery Eddy Architects, Inc. 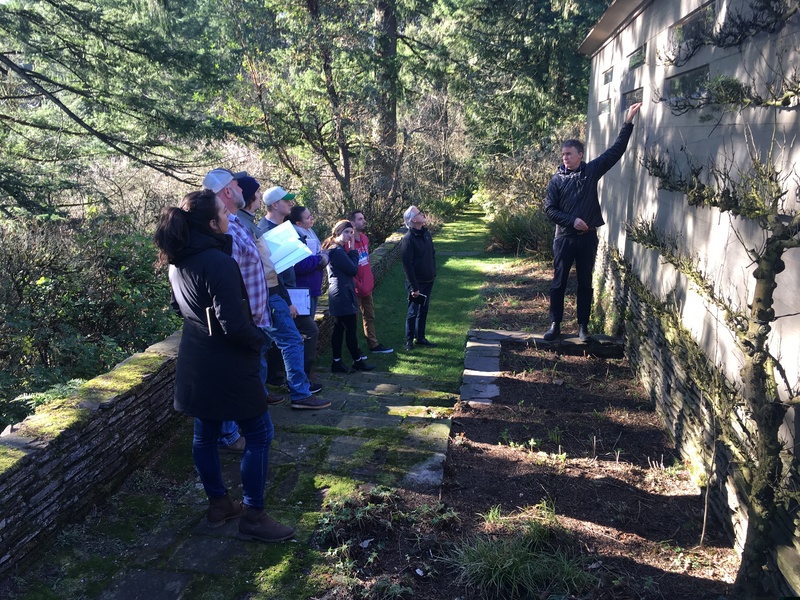 In this winter quarter course, Carin and David introduced students to the practical application of their focused historic preservation coursework in order to plan for the long-term stewardship of the Watzek House. The students are all pursuing master’s degrees in historic preservation and/or architecture; David and Carin are both historical architects exceeding the U.S. Secretary of the Interior’s Standards for Professional Qualifications for Historic Preservation Professionals. Through research, evaluation, assessment, and case studies, the course culminated in class members drafting a Building Preservation Plan – a common service provided by preservation professionals, including Hennebery Eddy’s Historic Resources Group. This type of document must include specific information about the building, context, and significance, and recommendations for both treatment and long-term stewardship adhering to the Secretary of the Interior Standards for the Treatment of Historic Properties. 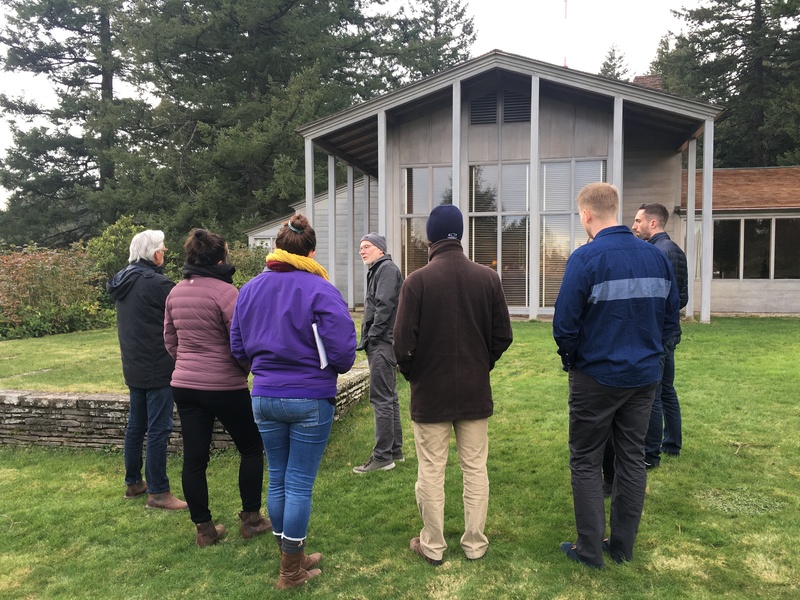 During the first several classes, David and Carin introduced the components of a building preservation plan, condition assessment methodology, review of existing Watzek House documentation, and toured and examined the Watzek House itself. In subsequent weeks, field classes included actual condition assessments of building components, as well as discussions with UO staff and contractors engaged in work on the property. Because the Watzek House is designated a National Historic Landmark, the highest level of historic designation in the country, its preservation is paramount. Students observed and documented a number of current conditions, including compromised roof/gutters/downspouts, window glazing compound failure, wood siding soiling and deterioration, water infiltration, and excessive moss on stone walls and paving. A primary theme pulled from the field classes was the importance of regularly scheduled monitoring and preventative maintenance in the long-term preservation of historic resources to avoid expensive large-scale emergency repairs that may prove catastrophic to the building and the owner’s budget. Students conduct an exterior condition assessment of the Watzek House. The midpoint of the course included the execution of a mini research project. Students prepared case studies of similar designated historic houses owned and operated by universities throughout the country. The selected buildings include the Gamble House (Pasedena, USC), the Neutra VDL Studio (Los Angeles, Cal Poly Pomona), the Morgan House (Sacramento, Sacramento State), the Cranbrook House (Cranbrook Academy), the Hassrick House (Philadelphia, Jefferson University), and the Predock Center (Albuquerque, University of New Mexico). These case studies shed light on the management structure, use by both the public and university, and partnerships required for these universities to own and operate these houses. The case studies also provided both successes that can be applied to the Watzek House as well as cautionary tales. The case studies will be used to develop recommendations for long-term stewardship of the house by the UO. Check back for an update on the students’ building preservation plan, and their final presentation to stakeholders and decision makers for the Watzek House.